The Gibson Inn was built in 1907 by James Fulton Buck at the peak of Apalachicola’s reign as center for lumber and shipping. Originally named The Franklin, the hotel was constructed using native heart pine and black cypress. 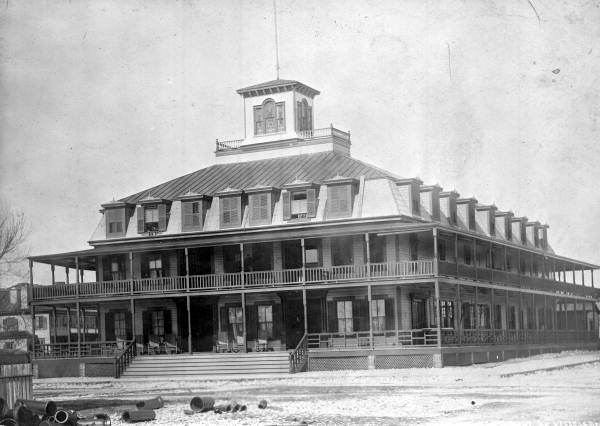 The Franklin soon became one of the most luxurious hotels on the panhandle and the only one between Jacksonville and Pensacola heated entirely by steam. In 1923, Annie Gibson Hayes and Mary Ellen "Sunshine" Gibson purchased the hotel. The two sisters renamed it The Gibson Inn. Nineteen years later during the height of World War II, the Inn was taken over by the U.S. Army and used as officer housing for those serving at Camp Gordon Johnston. Shortly after the War ended, the hotel fell into disrepair. In 1983, this treasure trove of history was brought back to life by three determined individuals—brothers Michael and Neil Koun, and friend Michael Merlo—who dedicated two years and over $2 million dollars for its restoration. Holding court in the very heart of downtown Apalachicola, today The Gibson Inn remains the only historic luxury hotel property developed along the entire region of rural Gulf Coast Florida. With its charming exterior, friendly staff, well-appointed rooms, inviting wrap-around porches, stunning collection of antiques as well as a popular restaurant and Parlor Bar, The Gibson Inn is the premier hotel destination on the Forgotten Coast. Minutes away from the sugar white sand beaches of St. George Island and Cape San Blas—with unique fishing, boating and birding opportunities in and around Indian Pass—let the hotel serve as your home away from home as you discover all the area has to offer.